Geoff Hammond of the University of Bath describes the CIE-MAP Centre’s work seeking thermodynamic insights on energy demand reduction and circular economy interventions. Thermodynamics are crucial to our understanding of the energy sector and the constraints on its development. The field of study provides an indication of the quantity (enthalpy) and quality (exergy) of an energy flow. Exergy reflects the ability of the energy expended to undertake ‘useful work’, but does not represent heating processes within an energy sector well. This is because the thermodynamic quality (the ratio of exergy to enthalpy) of the energy vector falls rapidly with the ratio of process to external ambient or environment temperature. Domestic space heating is consequently of low thermodynamic quality. Thus, exergy analysis is often misused, and then sheds rather ‘more heat than light’. In this context, the Centre for Industrial Energy, Materials and Products (CIE-MAP) recently examined the end-use of electricity in the home, in the service sector, in industry, and the UK economy more generally in order to estimate how much is used for heat and power respectively. The share of electricity employed for heating applications across the economy (excluding transport) was found to rise from 45% to around 60% over the period 1970-2050. In industry over the corresponding timescale electricity’s share was found to rise more steeply to quite a high level: from 22% to 70%. These shares were found to be insensitive to the precise nature of the forward projections (forecasts, transition pathways or scenarios). The findings of this study represent a first indicative analysis of possible long-term trends in this heat/power share across the UK industry, although some of the necessary simplifying assumptions mean there are substantial uncertainties associated with the results. It can be argued that, where end-use heat demands are met by electricity, energy and exergy analysis should be performed in parallel in order to reflect the interrelated constraints imposed by the First and Second Laws of Thermodynamics. Energy and exergy analysis can indicate those areas where inefficiencies arise within the existing system, as well as the improvements that may be possible. There is obviously a distinction to be made between an ‘optimum’ improvement and what can feasibly be achieved in practice. In the economics literature, this has widely been referred to as the ‘energy efficiency gap’ and the ‘energy efficiency paradox’. Economic and technical barriers (as well as the thermodynamic limits) must be faced in securing energy-efficiency savings in practice. Roughly, although the thermodynamic (or exergetic) improvement potential might be around 80%, only about 50% of the energy currently used could be saved by technical means and, when economic barriers are taken into account, this reduces to perhaps 30%. As a result, thermodynamic analysis can provide a valuable signpost to where improved technologies can have the greatest impact, but it is only one of several constraints. Nevertheless, an understanding of the actual end-uses for electricity also enables policy makers to take account of the implications of a greater end-use of electricity in the future. The impact on energy use of applying a wide range of circular economy (CE) approaches – sometimes termed ‘value chain collaboration’ by the Department for Business, Energy and Industrial Strategy – has recently been studied by CIE-MAP researchers. Several potential CE interventions were examined in a global context, across the EU-27, and in the UK. Such approaches can be viewed as an alternative to the conventional linear ‘take-make-consume-dispose’ economic model, which attempts to minimise waste and material inputs to the economy through eco-design, recycling and reusing products. The CIE-MAP team have therefore collated evidence on specific quantifiable approaches (based on the sort of thermodynamic – energy and exergy – methods described above), and then calculated their combined overall supply chain impacts via Input-Output analysis. Energy saving opportunities were found to amount to 5% to 8% of the UK’s industrial energy consumption. The team broke down the potential savings that could be achieved in the UK through the different subsets as illustrated in the diagram. These included food waste, steel production, other materials production, product refurbishment, vehicle provision, construction, and other equipment manufacture. In cases where the options were already in use (e.g., through recycling), the savings represent potential increases in their level of application. Approaches for ‘getting more out’ were found to have greater potential in the UK than those associated with ‘putting less in’. It should be noted that the results relating to steel material efficiency exclude options in other categories (e.g., vehicle lightweighting). The relative prominence of the ‘reducing food waste’ approaches relate primarily to their broad applicability, but some of the potential reductions in UK food waste have already been secured. Read more on the findings in the two papers below. Allen, S.R., G.P. Hammond and R.C. McKenna, 2017. 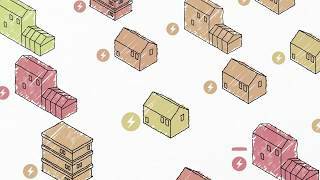 ‘The thermodynamic implications of electricity end-use for heat and power’, Proc. Instn Mech. Engrs Part A: Journal of Power and Energy, 231 (6): 508-525.
Cooper, S.J.G., J. Giesekam, G.P. Hammond, J.B. Norman, A. Owen, J.G. Rogers, and K. Scott, 2017. ‘Thermodynamic insights and assessment of the ‘circular economy’’, Journal of Cleaner Production, 162: 1356-1367.